Whether you’re looking for maximum fuel-efficiency or a more exciting ride to work, you can’t go wrong with the new Hyundai Elantra. The 2018 Hyundai Elantra comes standard with a 2.0L inline 4-cylinder engine that provides an exceptional balance of gas mileage and gusto. Its available 1.4L turbocharged inline 4-cylinder bumps up efficiency, achieving an EPA-estimated 40 highway MPG. If you’re looking for more thrills when you push the pedal, opt for the new Hyundai Elantra’s available 1.6L turbocharged inline 4-cylinder, which delivers 201 horsepower, outperforming the 2018 Honda Civic sedan, which maxes out at mere 174 horsepower. Find the performance that’s right for you. Experience the 2018 Hyundai Elantra at Lithia Hyundai of Reno. Along with its extensive performance, tech and safety options, the 2018 Hyundai Elantra also offers number of eye-catching style choices. To start, the captivating compact offers 6 trims – the Hyundai Elantra SE, SEL, Value Edition, Eco, Sport and Limited – each offering subtle, yet distinctive exterior details and a range of different interior features. After choosing a trim preference, choose from up to 8 paint colors, such as Lakeside Blue and Electric Blue. You won’t find allure like this in the new 2018 Honda Civic. Drive through Sparks and Carson City, NV in style. Visit Lithia Hyundai of Reno and test-drive the new 2018 Hyundai Elantra today. With a wide collection of standard and available safety features, the new Hyundai Elantra is one of just a few compact cars to be named an IIHS Top Safety Pick+. This honor eluded the 2018 Honda Civic after receiving “Poor” headlight ratings. Make the safe choice. 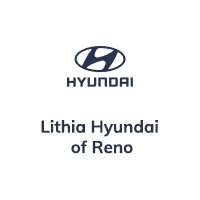 Visit Lithia Hyundai of Reno and test-drive the new Hyundai Elantra. As driving evolve, compact cars have to grow as well. That’s why the 2018 Hyundai Elantra offers all of today’s cutting-edge cabin technology and you can find it at Lithia Hyundai of Reno. Apple CarPlay™ and Android Auto™ come standard in the new Hyundai Elantra SEL trim level and higher, giving drivers easy access to contacts, playlists and more. These innovative smartphone features put all your favorite mobile apps in play, like Pandora®, Spotify® and a variety of helpful navigation apps. The 2018 Honda Civic offers these popular features as well, but only in its EX trim level and higher, which costs several thousand dollars more than the new Hyundai Elantra SEL. Test-drive the 2018 Hyundai Elantra at Lithia Hyundai of Reno today, serving Sparks and Carson City, NV.